[a:J.D. Smith|7106622|J.D. Smith|http://d202m5krfqbpi5.cloudfront.net/authors/1369683981p2/7106622.jpg]'s recently published adaptation of [b:Tristan and Iseult|17890882|Tristan and Iseult|J.D. Smith|http://d202m5krfqbpi5.cloudfront.net/books/1369684179s/17890882.jpg|25060625] is a delightful read. She has a way of telling the tale that makes you really feel empathy for all of the characters involved. At one point, the pain and longing of Tristan, Iseult, and yes, King Mark almost brought me to tears. 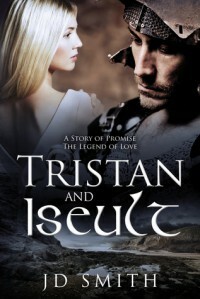 The story is told through chapters that alternate between Tristan's view of things and Iseult's. I really like when author's use this device as I like seeing and feeling how the different characters feel about the same events. 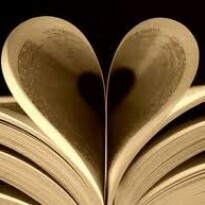 If the story had any drawbacks for me, it was that it was too short. The book consists of only 220 pages and is easily readable in one sitting. My one caveat, though, is that this is not a traditional telling of the myth, so if you are a purist, this would probably not be for you. J. D. Smith has changed quite a few things in her telling, and left some things out altogether. For instance, in her telling of the story, there is no love potion, no torrid love affair, no punishment, etc. The story we see here almost has more of a Romeo and Juliet feel to it (but not quite that either). At any rate, Smith's story tells a sweet love story full of pain, longing, and honor which I found refreshing and thoroughly enjoyed. As it is written here, I think this is a wonderful book for middle school students who are just becoming acquainted with the myth.